Utah recently made medical marijuana legal for terminally ill patients, in March 2018. This was signed into law by HB 195. Prior to this, HB 105 was in place, allowing patients with epilepsy to access low-THC cannabis oil. Non-medical possession, however, is still punishable by law, with hefty fines – possession of up to one ounce can bring up to 6 months in prison and up to a $1000 fine. Over 10 ounces, and it’s a $10,000 fine. Selling of any amount without the appropriate license is a felony, punishable by a five year sentence and a $5,000 fine. 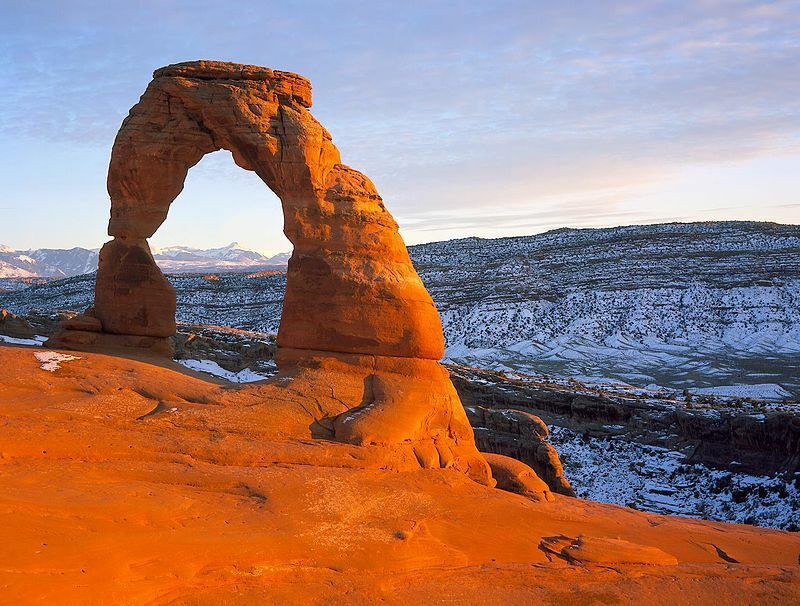 Utah arches – delicate arch. Utah has only just recently made medical marijuana legal, and there have been many amendments made to Proposition 2. At the moment, a patient must be aged 21 or over in order to qualify for medical marijuana in Utah. Those under 21 can get a medical marijuana recommendation, but they require secondary approval beyond that of their doctor, via a state-appointed panel made up of medical professionals. This panel is known as the Compassionate Use Board. Those aged under 18 requiring a medical marijuana card require a caregiver to accompany them. The current proposals suggest that Utah can run up to a maximum of seven dispensaries, ten cannabis growing facilities, and patients who live within 100 miles of a dispensary having restrictions on their right to grow cannabis. Growing facilities are limited to 100,000 square feet of growing space. For the moment, getting a medical marijuana card or recommendation is likely to be very difficult in Utah for any other condition other than epilepsy, as the state is still very early into its medical marijuana program.